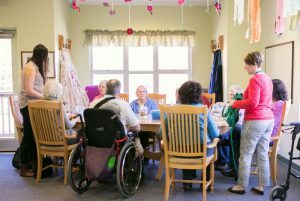 Adult Day Program provides social and recreational activities for seniors and disabled adults including exercises, outings, activities and a nutritious meal and snack. The service provides individual and group activities, and the opportunity to socialize. Program is offered Monday, Tuesday, Thursday and Friday at the Centre. Access: Through the Centre and via the Champlain Community Access Centre. In-Home Support "The Flex Program"